Here are a few of the athletes who made big improvements on their personal bests, over the last week or so. 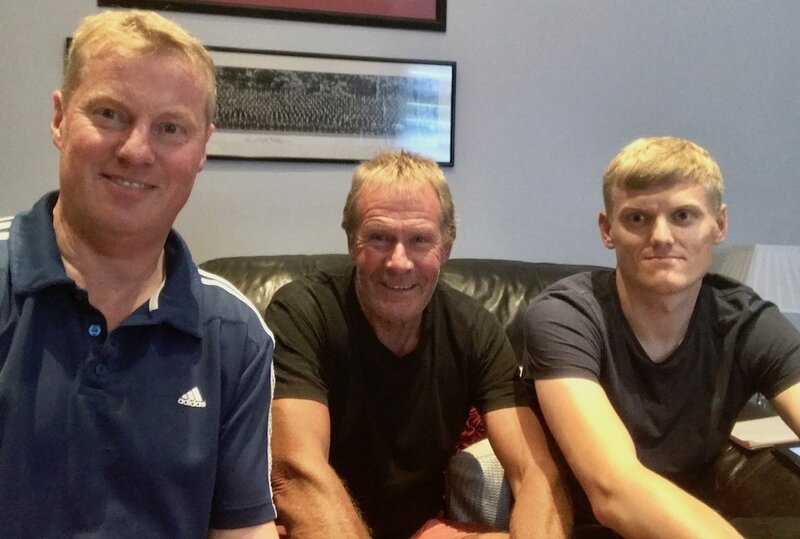 For the first time we had five people on the show as myself (Mark Hookway), James Taylor, Alex Hookway, Pete Brenchley and Lewis Church took part in the discussion. On this episode of Trackside we look forward to London 2017 and discuss how the British team might perform, how many medals will they win? And who will claim them? 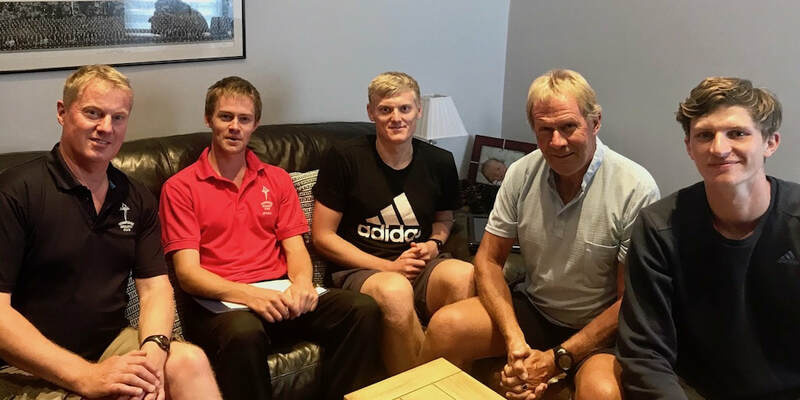 We also discuss officials in grass roots Athletics, the attitudes towards young athletes and how could this be improved to encourage both the next generation of athletes and officials? Finally, we look back at some of the major championships that have taken place over the last few weeks and talk through some of the best performances. There were second place finishes for Bede and Polly Pitcairn-Knowles at Lanhydrock, Cornwall plus Peter Bannister at Dolgellau, Wales. We had another group helping Madeline Hills out at Tonbridge School Track. 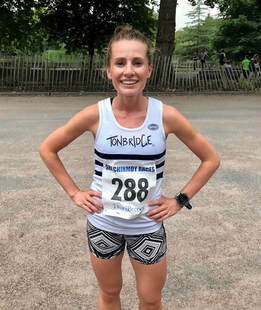 Congratulations to Aimee Holdstock who is the winner of the Summer TAC parkrun age graded grand prix. She has carefully added a few vital points over the last few weeks that ensured she held off Dan Schofield and Olly Kingston. 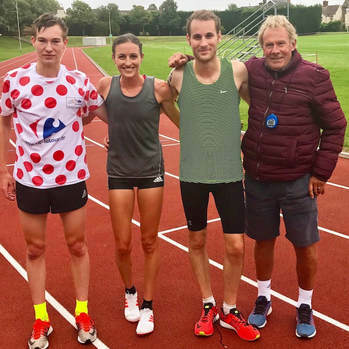 Tim Faes and Dan Bradley helped out the Australian 10,000m runner, Madeline Hills, at training on Wednesday evening. Madeline is preparing for the upcoming World Championships and had a tough session to complete. At the Rio Olympics Madeline was 7th in the steeplechase and 10th in the 5000 metres. Tim, Dan and Pete Brenchley are pictured with Madeline. In total 23 TAC distance runners were in action at Watford and every one of them wore a Tonbridge vest ! The conditions weren't the best, as they were quite cool and blustery. However, there were twelve personal bests, 2 season bests and a couple of race wins. The evening started with a specially arranged Elite men's 3000 metres, where group of runners had been invited to compete. Robbie Farnham-Rose helped pace and produce a terrific race. The aim of getting a group under eight minutes didn't quite materialise but there were a host of pbs. James West won a four way tussle down the home straight to record 8.00.66 (he has broken 8 before). Not far behind in fifth and sixth were Chris Olley (8.04.52) and Ryan Driscoll (8.04.86) both with pbs. It must have been the first time in TAC history that three runners have run inside 8.05 in one race (maybe two never have). Then we came to the open 1500m races and there were pbs from Christian Lee (u20, 4.07.75), Simon Coppard (u17, 4.10.97), Toby Emm (u17, 4.13.97 and a race win), James Kingston (u17, 4.14.06), Charlie Crick (u17, 4.18.12) and Harry Brown (u20, 4.19.29). It was getting late by the time of the four 'open' 3000m races. Kiri Marsh (u20) ran 10.35.34 for a pb in race 1 and Fraser Gordon (u15) took almost a minute off his 2016 best with 9.18.25, in race 2. In race 4, Kieran Reilly and Nathan Marsh were always in the lead group and finished 4th and 5th with 8.23.22 and 8.27.95. This was a season's best for Kieran and a twenty second pb for Nathan. Harry Paton ran 16.16 for 13th overall and Lucy Reid ran an excellent 16.57 to be first lady home. Kieran Eland ran 1.57.65 for 5th in the BMC A race at Exeter. ​Alex Hookway a 400m seasons best of 53.66 at Tooting Bec in cold, wet and windy conditions. Ashley Gibson ran 5000m in 16.29.97 at the Yate Open Meeting. Charlie Joslin-Allen broke the course record, when winning at Staplehurst in 25.14. Dan Bradley was second in 27.15 and Joe Watts 20th in 31.01. Joe's time was a personal best by nearly a minute. Full provisional results are on the Results 2017 page. I will start with one of the most memorable moments from the distance races - James Kingston won the under 17 men's 1500 metres steeplechase on his debut. Its worth taking a look at the video to see how his first ever competitive water jump went ! There were wins from Ollie Dunn, Sam Crick , Kiri Marsh, Simon Coppard, James Kingston and Vita Milana. 1st George Duggan 4.23.1, 2nd Sean Molloy 4.23.6, 3rd Charlie Joslin-Allen 4.26.3 (all more than 10s ahead of the old course record, on a hilly route). Chris Olley was fifth in the Soar Mile elite race in 4.11.32. The first four were 1st Dale Clutterbuck 4.09.12, 2nd Lewis Moses 4.09.87, 3rd Jack Crabtree 4.10.08, 4th John Sanderson 4.10.22. Apparently the first half was covered in about 2.08. Congratulations to all TAC 2017 Graduates ! 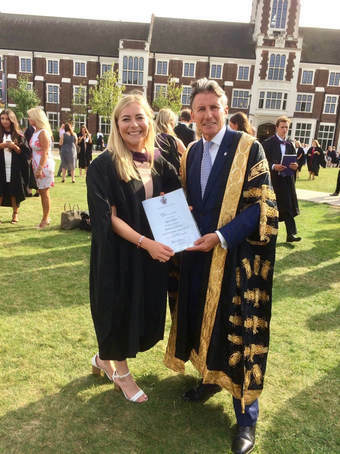 Well done to all of you who have successfully graduated from university this year. Full results are on the Results 2017 page. The men placed third on the night and women second, whilst both finished as runners-up in their divisions. This means that both the men and women go to the league final in early September. It looks like there were Tonbridge AC club age group 800m records for Sasha Houghton (w45 2.40.0) and Lucy Pitcairn-Knowles (w50 2.48.2). Videos loaded (800m only) ! TAC finished second on the day and secured promotion back to the premier division ! Rebekah O'Brien (u15) was the only A string winner in the middle distances with 2.20.5 but there were pbs from Maxim Bragin, Aimee Holdstock, Olukorede Fasina, Maddie Wise and Sam Breed. Charlie Joslin-Allen doubled up with two races, forty five minutes apart and finished second to Ross Skelton, of Brighton Phoenix in both. Charlie ran 4.20 and 16.05. 14 today at Tonbridge Parkrun GP with Finn Croll taking maximum 14 points available. Annabelle Hales was the top scorer courtesy of her PB bonus with 13 point positional score. Nigel Brooks and Richard Tosh both ran PB’s again. Aimee Holdstock remains the leader although she was unable to extend her score as she scored 9 points for the 3rd time. Ollie Kingston has closed the gap on Aimee to just 2 points with 2 races to go. James West missed qualifying for the 1500 metres final in Poland by a fraction of a second. James ran 3.44.72 in heat 2 of 2 and missed the final by 0.34s. Summary results on the Results 2017 page. Following the very wet weather on Tuesday night at training, Wednesday at Watford was perfect, with warm, clear and still conditions. 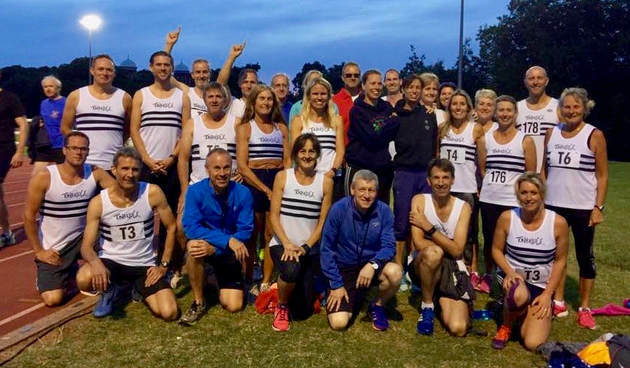 It was a British Milers Club evening with a few of their races, preceding what turned out to be a record thirty 800m races ! In total there were sixteen TAC distance runners in action. 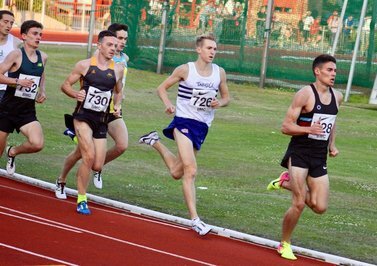 Ryan Driscoll (3.46.74) just missed his 1500m pb in the BMC A race, with Chris Olley running 3.47.83 in his first proper race over the distance this season. Corey De'Ath finally moved under the 3.52 level with a pb 3.51.66 in BMC race B.
Peter Bannister was the first from TAC in action in the open 800m races and ran a pb of 2.13.38 to win race 15, despite a 68/9 first lap. There were also wins for Bede Pitcairn-Knowles (2.03.68 pb) and Sam Crick (1.58.30 pb). 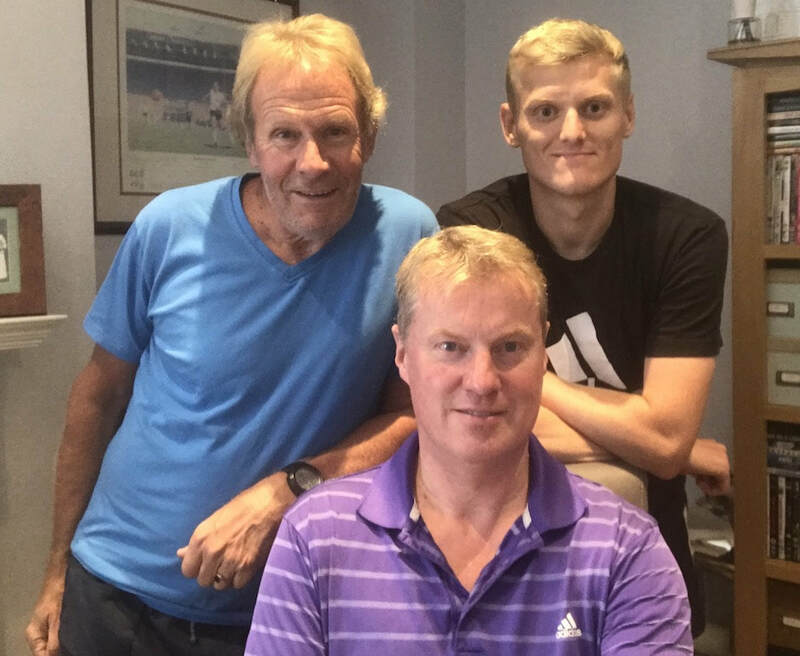 We went live with episode 18 of the podcast on 7th July. Facebook (www.facebook.com/tracksidepod) or email (tracksidepod@gmail.com). Dan Seagrove ran 400m in 52.21, which was a pb by 1.7s. Julian Rendall won the 10k in 35.19, finishing 19 seconds ahead of the second place finisher. Initial results show a tie between TAC and Croydon for the win. Kieran Elands 200m and 400m pbs of 22.7 and 50.3 were impressive for an 800m runner. Jamie Bryant won the 3000 metres, whilst Michael Ellis and Meghan Watson took steeplechase wins. There were some very strong performances from the TAC athletes in action, which will have a bearing on the seasons rankings. ​Plus TAC and a few others will be loaded on this site. Senior Boys 3000m video loaded ! Fraser Gordon qualified through the Junior Boys 1500m heats on Friday, as a fastest loser, but struggled in the final, finishing 12th. James Puxty and Alasdair Kinloch were in contention for medals throughout the senior boys 3000 metres and it was James who produced a very determined finish to win in 8.32.87, after a 57 second last lap. Ally finished third in 8.35.21. One of the highlights was Sasha houghton's 3000m in 11.30.1 which was a personal best by 11.8s and improved the club w35,w40 and w45 records ! Lucy Reid was second lady home in the JP Morgan Challenge over 5.6km in Battersea Park. Lucy ran 19.50. Simon Coppard (u17) finished second in the 800m in 1.56.63 and then ran 24.01 for 200m, ten minutes later. The open meeting results are on the Results 2017. As far as I am aware they won't be posted on Power of 10, as the necessary criteria, in terms of qualified time keepers wasn't met. Aimee Holdstock jumped to the top of the leader board with a PB AG winning performance. Adam Roeder succeeded in his bid to run sub 20 mins for the first time and picked up a bonus 5 points as he moves into 3rd place with only 3 scores to his name so far. With 4 Saturdays left in July to score there are plenty with opportunities to complete 4 scores. League table updated on the Parkrun page. Greg Cole placed 5th in 91.55 and Dan Bradley was 9th in 93.03. Full and summary results are on the Results 2017 page. TAC just missed second placed by 0.5 points in over 500 ! 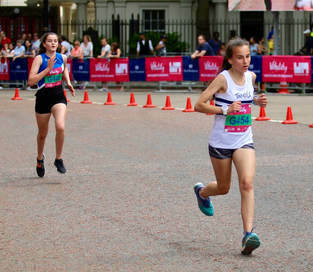 Fraser Gordon (u15, 1500) was the only middle distance winner for TAC, but there were some personal bests from the likes of Huxley Crush (u13, 1500), Annabelle Hales (u13, 1200) and Olivia Wittenberg (u13, 1200). 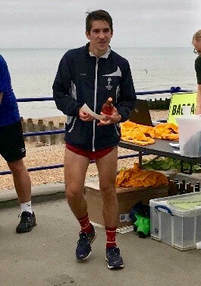 Nine Tonbridge AC Distance Runners qualified for this year's British ChAmpionships and accepted the invitation to compete. For some it was their first time at this level, whilst others had raced their once or twice before. As a reminder much of the event was on BBC and World Champs places automatically went to athletes who finished in the top two and also had the necessary qualifying standard. Others will be added to the team, subsequently. 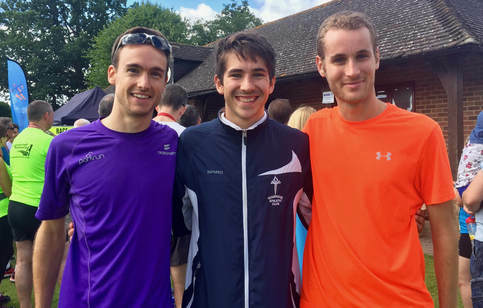 None of the TAC runners were in with a chance of GB selection for the World Championships, although James West at 1500m has one Commonwealth Games standard to his name. Ryan placed an excellent 7th in 8.53.00, which was his second fastest ever time. Unfortunately, he had a real bad fall at one barrier, which must have shaken him up and left him with a swollen knee. However, the race showed him that he can be competitive at this level. Chris had a rare tough race for him and finished 18th in 14.39.86. James was the only one who qualified for the final, as both George and Luca had their first experiences at the championships. With four athletes in the twelve man field having the qualifying standard for the World Championships, this was one of the most competitive races of the championships. It was very tactical, with James passing the 700 metres mark in 1.56.0 i.e. with 800 metres to go. The fact that the last 800m was run in 1.53 shows the level that it was run at. James finished a magnificent 6th in 3.49.19, as Chris O'Hare won in 3.47.28. Both Ashley and Nicole had tough races and were not at their best. Ash was 16th in 16.39.28 and Nicole 20th in 17.33.19. Judd School had teams in both the Junior and Inter finals, which included TAC members. Toby Emm (u17) won the 800m in 2.05.4. Toby ran a pb of 2.00.72 in France at the World Schools Championship, earlier in the week. James Kingston (u17) 1500m in 4.17.4, was just outside his recent pb. Finley Webster (u15) ran his first 1500m of the season in 4.50.6, which was a 27.8s pb. Summary results are on the Results 2017 page. TAC had ten running, with 8 pbs and a season's best, although some were disappointed with only fractional bests. Amongst them were three race wins aswell, from Peter Bannister, Jamie Brown and James Puxty. Chloe Bird (5.00.38), making her 1500m debut and Grace Fleming (4.50.83) were in race six of eighteeen 1500s, as Grace took more than 10 seconds from her pb. Jamie Brown was next up and just before the bell looked like he might lose touch with the leading group, but produced a storming last lap to win in 4.12.80, taking 14.6s from his 2012 pb. Then both Dan Blades (4.13.76) and Bede Pitcairn-Knowles (4.11.64) trimmed their bests, although both were hoping for more. James Puxty ran his normal aggressive race, undaunted by others and won race 17 in fine style, taking more than 13 seconds from his best with 3.57.05. Ben Murphy, who has been recovering from illness, was not far away from a pb with 3.59.42, nor was Michael Ellis with 4.06.35. TAC had just one competitor in the 3000s, which was Jamie Bryant, who ran 8.42.20 (he would like it known that it's better than my pb now), taking 36 seconds from his 2011 best. Dom Brown was a fraction of a second away from his 800m personal best when he finished seventh at Stratford, on Tuesday evening. Dom ran 1.51.97. Olly Kingston is the new leader of the Park Run GP and along with Indiana Winter is the first to have registered 4 scores. Aimee Holdstock was the highest age graded TAC runner on the day to move into 2nd place with 3 scores. Remember that every Tonbridge Parkrun in June and July counts towards this summers GP. League table update is on the Parkrun page. Tonbridge placed third of the six teams. Provisional results are on the Results 2017 page. There were a mass of personal bests, as you can see in the photos below. 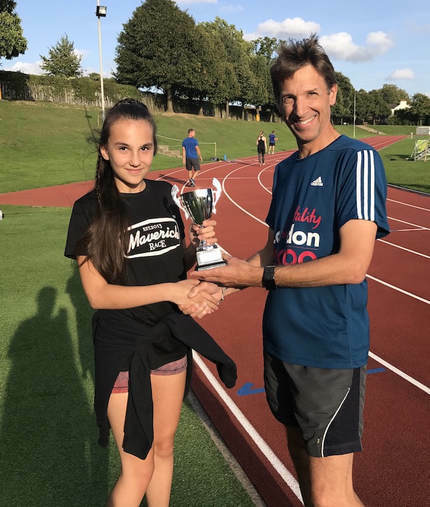 I will mention a couple - Ella KingPowrie, who managed to get to Chelmsford after being stuck in a massive traffic jam and then battled to second in the u17, 800m to run a pb. Her last at the distance was two years ago and anyone who bounces back like that deserves a pat on the back. The second mention is for Ollie Dunn who set what looked like a suicidal pace in the u20 800m, but hung on and smashed his pb. One of the bravest pieces of front running that I have seen this season and its worth watching the video ! Julian Rendall finished third in the North Downs race in 2.00.05. The race was won by Tom Collins of Medway and Maidstone in 1.57.54. PK's latest update is now on the Veterans/Masters page, including all the latest records set, at the recent league meeting. Sean Molloy won one of the main events of the evening, as he took victory in the Sydney Wooderson Memorial 800m in 1.48.99, although the bonus prize money eluded him (a time of 1.48.4 i.e. Wooderson's old World Record mark was needed). Kieran Eland improved his pb by half a second to 1.55.75 in the B race. 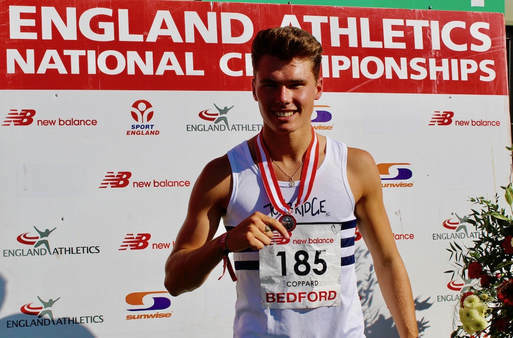 Simon Coppard (u17) ran a season's best of 1.56.21 to win the C race, in which Christian Lee (u20) ran a pb of 1.58.58. Michael Ellis then recorded another TAC win in race E with a season's best of 1.58.97. 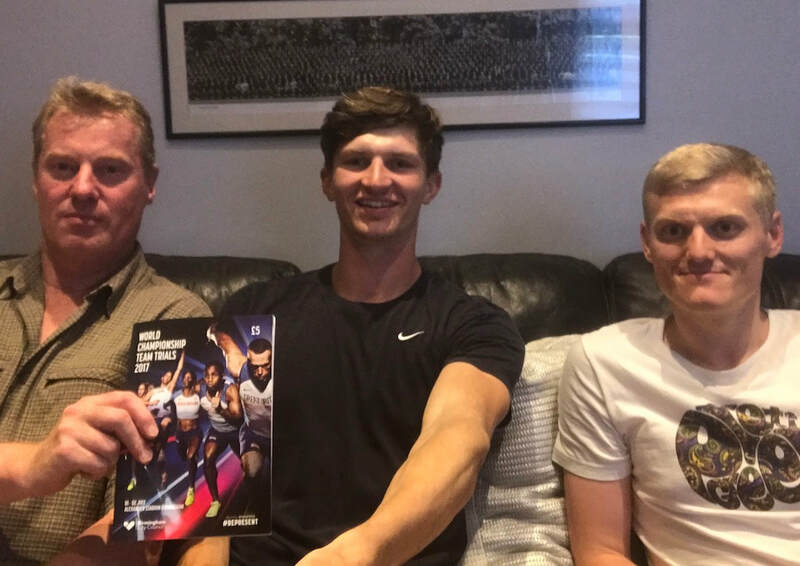 Jamie Brown had intended to also race 800m, but transport issues meant he swapped to the later mile race, where he ran 4.37.42, which was sixteen seconds quicker than his pb from last year, whilst also superior to his 1500m best. Becky O'Hara set a pb in the 400m of 56.84 and ex-TAC athlete Tom Kendrick ran a 1.58.50 pb in the 800m, despite spending more time these days focussed on rugby. Tom is a former winner of the National u13 Cross Country Championships. 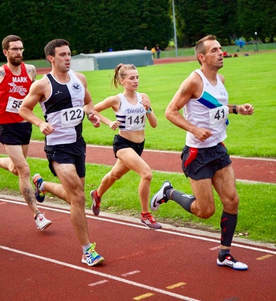 Three TAC distance runners took part in the Kent 3000m races at Dartford. Dan Schofield continues to improve as he finished second in the race and took silver in the under 17 mens race in 9.13.79. this took 9.1 seconds from his personal best. Grace Fleming was 2nd under 20 woman home, just outside her pb with 10.50.80 and Lizzie Miller made her 3k debut as 3rd u17 woman in 11.18.09. Lucy Reid and Ben Cole recorded the fastest legs in the London Business Houses’ Bridges Relay, organised by the Stock Exchange AC. This annual event saw 153 teams comprising a total of 589 runners compete over a 2.3 mile course, that starts opposite the Houses of Parliament, runs along the Thames, taking in Vauxhall and Lambeth Bridges and negotiating hazards such as the new security barriers and bollards, and legions of tourists taking pictures of Big Ben. Results are on the Results 2017 page. Fraser Gordon (Junior 1500), James Puxty (senior 3000) and Alasdair Kinloch (senior 3000) have been selected for the Kent team to compete in the English Schools Championships, in July. Once again the TAC Masters/Veterans were out in force for the league fixture. Results are on the Results 2017 page. Both the men and women placed second to Dartford..
Simon Fraser won the M35 1500m in 4.27.6 and Graeme Saker won the M50 1500m in 4.35.6, which is a TAC club over 55 record. Lucy Pitcairn-Knowles won the W50 1500m in 5.48.7, which is inside her own TAC age record. On a busy weekend for club athletics competition for all ages, there was the minimum number of 10 TAC athletes at Parkrun. Ollie Kingston was the standout with a PB run that scored 15 points and takes him to the top of the leader board. Aimee Holdstock scored a solid second place in this 3rd of this 9 race series. ​League table on the Parkrun page. On day 2 of the championships TAC athletes added four silver medals to Ally Kinloch's bronze on day 1. Phoebe Barker and Nicole Taylor had the unenviable task of racing the longer distances in scorching conditions and took silver in the under 20 womens 3000 metres and under 23 womens 5000 metres. James West came close to winning the under 23 1500 metres, but since he has the qualifying time is guaranteed selection for the GB team to compete in the European Championships, in Poland. George Duggan finished 10th. In a finish just as close as James' , Sean Molloy was second in the under 23 800 metres. As he hasn't achieved the qualifying time of 1.47.00 its unlikely he will gain GB selection. TAC finished second of the six clubs. Full and summary results are on the Results 2016 page. There were no wins from the TAC distance runners but pbs for Fraser Gordon (u15, 800m), George Hopkins (u13, 800m), Olivia Wittenberg (u13, 800m), Sophie Slack (u13, 1200m) and Luciana Anderson (u15, 1500m). Full results of the third match in the league season can be found on the Results 2017 page. TAC finished third of the four clubs. The latest update from Mark PK has been added to the Veterans/Masters page. 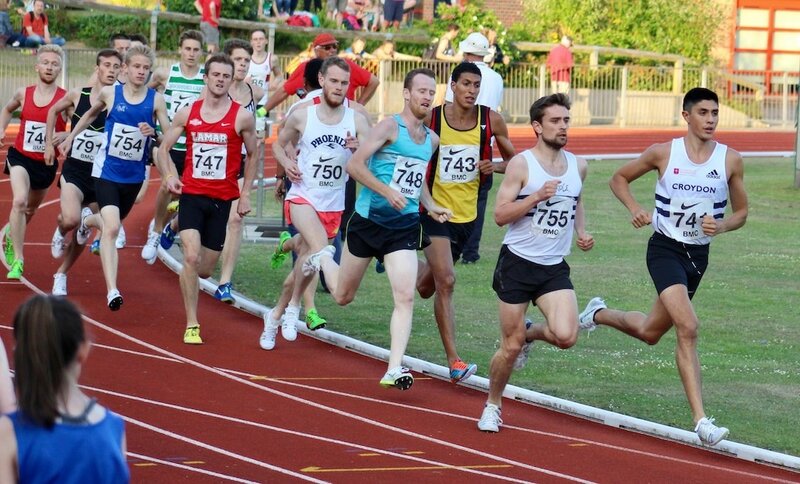 It was a very special night at Watford,not only for Tonbridge AC but a host of British middle distance runners, as the BMC races produced plenty of significant times. Sean Molloy has battled away for five years, since setting a UK under 17, 800m record in 2012 of 1.48.24. Finally, he not only ran a new personal best, but broke Steve Fennell's TAC record with 1.47.76. He is closing in on the European under 23 qualifying time for GB but the odds are against this with just this weekend's National under 23 championships before the deadline. Nevertheless, he is making good progress and hopefully there is more to come this season. 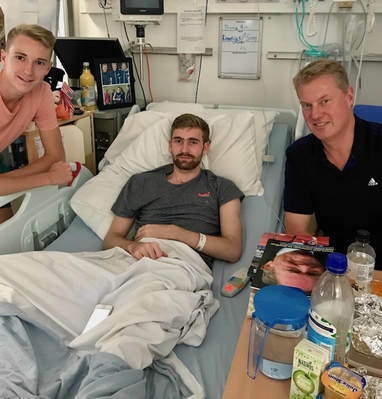 Soon after Sean's race James West found himself in one of the best 1500 metre races in the country in recent times, as he was one of five athletes who ran under 3.40. James clocked 3.39.65 which is a new pb, a European under 23 qualifying time and the second fastest ever by a TAC athlete. In terms of the European under 23s an athlete needs both the qualifying time and to finish top two in the trials to guarantee selection. The trials are this coming weekend at Bedford, with GB teams selected on Monday. 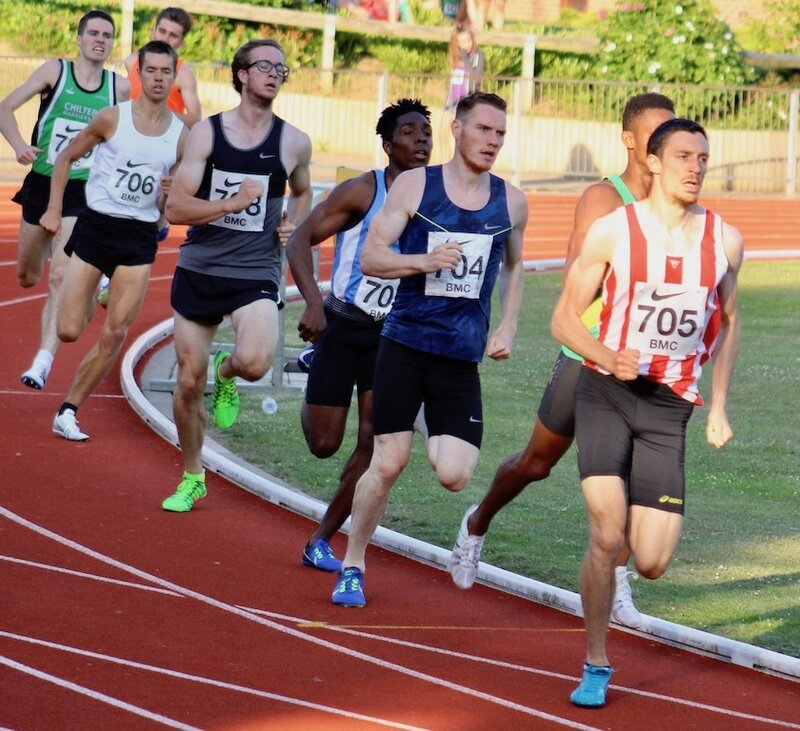 ​Finally, after a frustrating few months of bad luck in races and injury Dom Brown ran 1500 metres in 3.46.62, which is a new pb and also inside the qualifying time for the British Championships and World Championships trials. There were three medals on day 2 of the championships for TAC runners. A good team effort to take 1st Team at Staplehurst with Dan Bradley out in front (3rd) in 33.58, then Tony Bennett 18th, Phil Coleman 20th (38.45), Joe Watts 23rd and Mark PK 26th(39.18) all packing well. However, it was Tony who paced the race best as he was 4th of this group at 5Km, before moving through during the second half of the race to finish 2ndTAC. He also ran a PB of 38.38. Joe Watts also ran a big PB in 38.51. Phil and Mark were 2nd and 3rd M50 respectively. Lucy PK 44.10 took the 1st W50 prize, although Tina Oldershaw was 1st Lady overall and actual 1st W50. Tracey Horne, after a night of illness, was 77th in 44.31 and 3rd female 45. Adam Roeder 56th and Richard Tosh 98th showed the benefit of their training with TAC over the recent weeks as they both posted PB’s with 42.57 and 46.42 respectively. 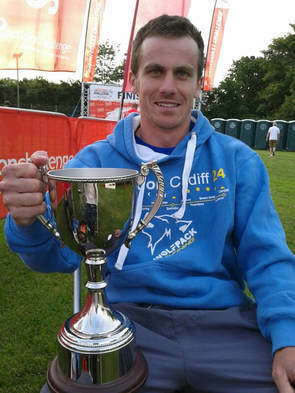 Henry Pearce won the Market Harborough half marathon reportedly by about ten minutes in 71.52. 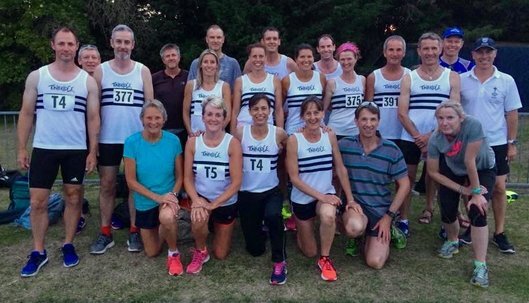 There were two medals for Tonbridge AC distance runners on day 1 of the championships. Senior Women - Nicole Taylor was 2nd in the 3000 metres and Ashley Gibson was 3rd in the 1500 metres. Ashley ran 4.25.96 to break Kelly Holmes' TAC 1500m record. Senior Men - Sean Molloy qualified through heats and semi finals to Sunday's final. Trackside Podcast Episode 16 Live ! In this episode we talk about Multi events at Gotzis and UK Nationals ; NCAA Championships; Some female athlete issues; World Performances;UK Performances;Latest News and more. Considering the cold and windy conditions George Duggan ran a terrific 1500 metres, as he attempted to get under the 1500 metres qualifying time for the British Championships and World Championships trials. He ran 3.46.42 for a personal best. Robbie Farnham-Rose was not at his best at the National Collegiate Championships, running his final race for Alabama. He ran 3.50.51 in his 1500 metres 'semi final'. Results of the meeting are now posted on the Results 2017 page. The latest update from 6th June is now available on the Masters Updates page. Many thanks to Gary Goodge for the videos, which we have loaded. ​Results are on the Results 2017 page. 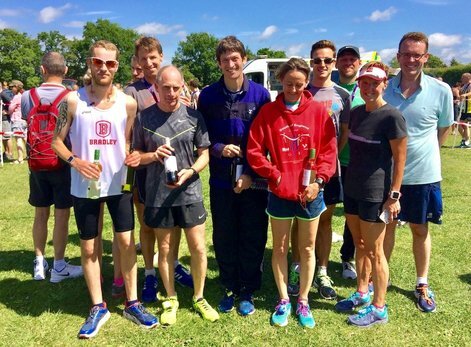 The TAC Summer Age Graded Park Run Grand Prix got off to a good start with the first of 9 straight Saturdays that will count towards this year’s totals (Your best 4 scores count) Dan Schofield has set the pace with a PB bonus win at 82.35%. However Fraser Gordon 81.75% (PB) and defending champion Sophie Slack 80.61% also set high AG scores. A total of 16 TAC runners scored, including Adam Roeder and Karin Gianone who had both run 100m, 800m and 4 x 100m relay at the Vets league the night before!! Table below and throughout June and July will update on the TAC Parkrun page. Four TAC athletes and four personal bests, although their races were not plain sailing. Bede Pitcairn-Knowles (u20) ran his second ever 2000m steeplechase and recorded 6.12.70 for a big pb, despite officials ringing the bell a lap early and causing indecision. Then the girls ran the 3000 metres with Nicole Taylor winning in a pb of 9.34.20, Phoebe Barker (u20) was 2nd in 9.41.71 and Grace Flemimng ran 10.46.41. In their case the race went off ten minutes earlier than schedule, which curtailed their warm-ups. The men and women both placed second. Results are on the Results 2017 page. ​Club records over 800m for Sasha Houghton w45 Sasha Houghton 2.44.5 and Lucy Pitcairn-Knowles w50 2.49.4. Read the latest update from PK on the Masters page. Luca Russo ran a pb mile in 4.05.42 in St Louis on Thursday night. Flotrack Pro covered the meeting and a few with a subscription can watch the race there.